Providing you the best range of pharmaceutical manufacturing services, pharma third party manufacturer, contract manufacturing service and pharma contract manufacturer with effective & timely delivery. We provide Pharmaceutical Contract Manufacturing Services. We are counted among the trusted firms engaged in Pharma Medicine Contract Manufacturing. Backed by a team of highly qualified and experienced professionals, we are capable of customizing the entire range of medicines as per the customer needs. We introduce ourselves as Pharmaceutical Third Party Manufacturer from India with more than decades of experience in pharmaceutical formulations We have WHO GMP, USFDA and UK MHRA certified manufacturing facility. We are pharma company catering to a wide spectrum of health care needs and offers Pharmaceutical Finished Formulations to worldwide clients. Many pharmaceutical companies do not have own production facilities so, we work for them & provide Pharmaceutical Contract Manufacturing Services. 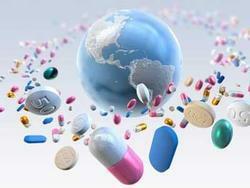 We are providing Pharma Contract Manufacturing services for wide range of products throughout worldwide. Looking for Pharmaceutical Contract Manufacturing Services ?